The Minister for Local Government, Housing and Environment Parveen Kumar has urged people living in informal settlements to seek assistance. This was after he visited a family at Sasawira Settlement, Davuilevu, to assist them with a piece of land. 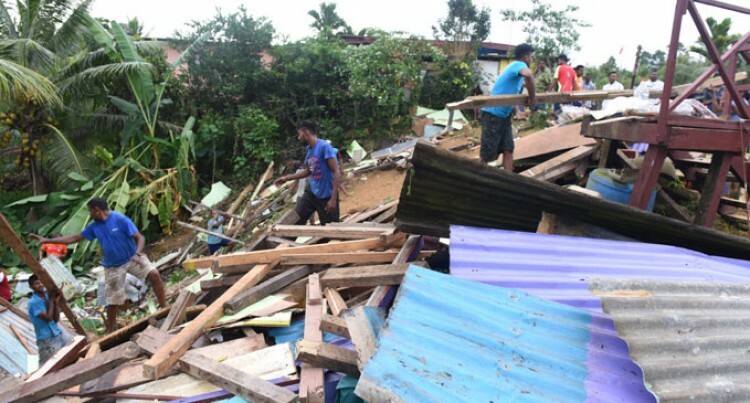 The Sasawira family lost their home in a landslide during heavy rain last week. Mr Kumar said families living in squatter areas were always uncertain to move when told to do so. “People are very hesitant to move when we tell them; I think they are basically waiting for a disaster,” Mr Kumar said. “This is one very classic example; the house was shaking and had been unsteady for quite some time; but we are not here to put blame against people but to help them. The minister said so far no other informal settler had come forward to seek the ministry’s assistance. “Once the area is subdivided if they are in squatter settlement, people should start strengthening their houses by rebuilding,” he said. He urged residents living in squatter areas to rethink about where they build their homes.